The Rebel Sweetheart. : Spotlight | Human Nature Baby Care. 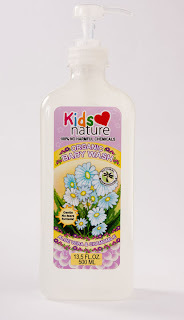 When I chose to go organic some three years ago, one of the first all-natural products that my son got to try was Human Nature's Baby Wash in Aloe Vera and Chamomile. Back then, this baby wash was the only product in Human Nature's baby care line. Fast forward to 2012, and now they have these products - three steps to the safest and gentlest baby care. Baby Oil, Baby Wash, & Baby Lotion. The first step is gentle cleansing with Human Nature Baby Wash. It contains rosemary, which is known for its anti-inflammatory and anti-microbial benefits. In addition, this baby wash is infused with lavender and chamomile scents that aids in soothing and relaxing your baby. Compared to adults, baby's skin loses moisture rapidly. Exposure to elements such as the wind and sun can speed this up even more. Babies are most uncomfortable when their skin is dry and irritated, and to avoid this discomfort, it is important to moisturize and nourish with Human Nature Baby Lotion. Made with avocado oil and sunflower oil, this lotion is packed with essential vitamins to relieve dryness and itchiness, and prevent skin damage. Step 2. Moisturize and nourish. The final step is Human Nature Baby Oil, whose primary purpose is to protect and nurture your baby's sensitive skin. Laden with sunflower oil, this product also helps in healing insect bites and boo boos, preventing diaper rash, and protecting against skin infections. Step 3. Protect and nurture. Human Nature has nothing but your baby's health and well-being in mind, which is why all these products are proven safe and dermatologist-tested. Most importantly, they are free from harmful chemicals such as mineral oil, phtalates, parabens, and synthetic fragrances - all of which have been linked to serious health problems. Sad to say, the commercially-available brands that we know of contain one or more of these toxic substances in their products. 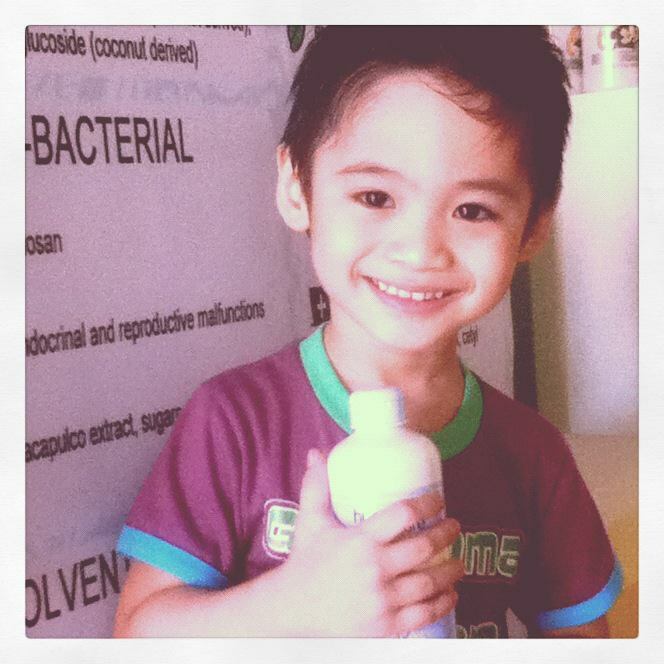 When I switched to organic products in late 2009, my utmost concern was my son. Because these chemicals pose a great threat to the health and safety of my child (or any child, for that matter), avoiding them would be the best precautionary measure. Once I got rid of the conventional brands and embraced the Human Nature advocacy, there was certainly no turning back. I was happy with this choice, and my little man is just as happy, too. For my upcoming Ooh Baby Baby even, I'll be giving away an assortment of Human Nature products. One lucky winner will receive this loot containing some of my - and Yue's - favorite Human Nature items. Many thanks to Human Nature Laguna for providing these awesome prizes! Oh, and finding a quality baby mattress important, too! Thanks to Kokopax for helping us! Human Nature products can be bought online, through dealer networks, or at branches near you. Sharing with i Heart Macro, Scenic Sunday, Mom and Me Monday, Blue Monday, Green Monday, and MYM. I absolutely love the Baby oil! I use it for me! hahaha :D Lately though I've been using the SBO entirely. But when I'm on a budget, I use the baby oil. I also use the baby oil if I want to smell like a baby! Oh, nice! Those sounds great -- my littlest one has trouble with eczema, I wonder if they would help. I also love human nature! My family is using Human Nature products. I love that they have expanded their line. Your "organic" photos are great too. Thanks for the review. I try to go organic with my twins as much as possible. i love human heart nature, too. i am using their natural shampoo for my little man + he simply loves its scent. I am slowly replacing my regular personal hygiene products with that of human heart nature, which reminds me, i have to visit their store soon to replenish my stash. Hi, I just joined you on Linky Followers. Would love it if you stopped by and followed back. I absolutely LOVE Human Heart Nature. We use most of their products, and are fully supportive of their CSR aspect. Pro-poor, and pro-Pinoy all the way! I use Johnson's but it woudn't hurt to give it a try. Have a fabulous week. Awwwww at ang gwapo ng model! I like the blue container! I've heard this brand is good, seems it is from your review. I'll give it a try. Visiting thru MYM here. Great product happy customers. ^_^ Happy Monday! Seems like really good products...great review! Your son is so cute! I am sure the new mothers will appreciate your suggestion. Sounds good. I've never heard of Human Nature, thanks for the intro :) I love organic products, nothing else should be used on little ones. never heard of this brand. thanks for sharing. Hmm...never heard of that..but it sounds like you all love it.